All I want for Christmas is a festive run. 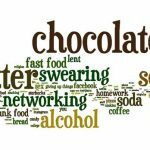 In this article Mary tells us how all she really wants for Christmas is to get out for a small amount of head space before the calorie fest commences on Christmas day. This article first appeared in The Irish Times on 19th December 2017. You can read the full article online here. 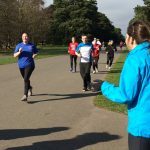 In this article Mary discusses whether it may be best to take a break from running for the winter to regain confidence running and rest some weary or injured bodies. This article first appeared in The Irish Times on November 21st 2017. You can read the full article online here. 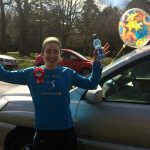 In this article Mary explains that no matter what role you played in the marathon you should reflect on this role and be proud of your achievement. This article first appeared in The Irish Times on November 3rd 2017. You can read the full article online here. 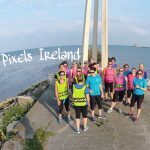 In this article Mary give your tips for the final week in the build up to the Marathon. This article first appeared in The Irish Times on October 24th 2017. You can read the full article online here. 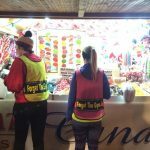 In this article Mary tells us the 2 things every successful runner does to keep themselves in check and stay running. This article first appeared in The Irish Times on October 9th 2017. You can read the full article online here. So the training has not exactly gone completely to plan. 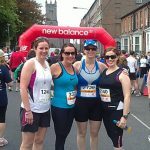 Don’t worry, in this article Mary tells you how you are not alone and what the next steps are to get confident for race day. This article first appeared in The Irish Times on 18th September 2017. You can read the full article online here. 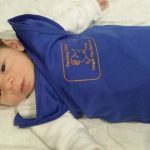 In this article Mary advises on whats sensible and practical with a new baby in tow. This article was first published in The Irish Times on 28th Mar 2017. 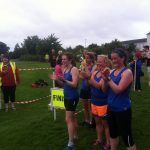 You can read the full article online <a href=”http://www.irishtimes.com/life-and-style/health-family/fitness/love-running-it-won-t-let-you-down-1.2967892“>here</a>. 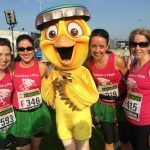 In this article, Mary challenges the traditional chase for the Personal Best as the best measure for running success. This article was first published in The Irish Times on 14th Mar 2017. 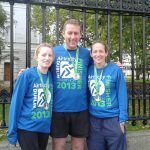 You can read the full article online <a href=”http://www.irishtimes.com/life-and-style/health-family/fitness/love-running-it-won-t-let-you-down-1.2967892″>here</a>. 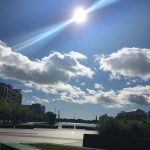 In this article Mary asks you to take a few minutes of your day outdoors and see the difference it makes to your day. This article was first published in The Irish Times on 31st Jan 2017. You can read the full article online here. 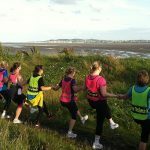 In this article Mary asks her running students about their love of running. This article was first published in The Irish Times on 14th Feb 2017. You can read the full article online here. 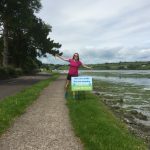 In this article Mary talks about stepping away from New Year Resolutions and taking the year one month at a time This article was first published in The Irish Times on January 3rd 2017. You can read the full article online here. 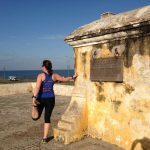 In this article Mary talks about staying fit and healthy as pregnancy moves into the 2nd trimester and body shape (and energy) changes. This article was first published in The Irish Times on January 17th 2017. You can read the full article online here. 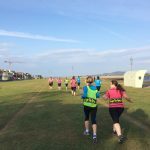 In this article Mary talks about staying fit and healthy during your pregnancy and where to start with any fitness plan. This article was first published in The Irish Times on December 13th 2016. You can read the full article online here. 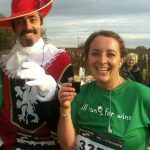 In this weeks Health and Fitness segment Mary talks about making the most out of running during the festive season to balance out all the over indulging. This article was first published on 29th November in The Irish Times. You can read the full article online here. Training the head can be as important as training the body. 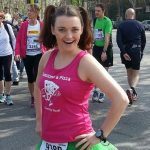 In this article Mary gives us some tips on how to battle the mental barriers we come across while running. 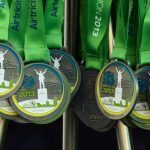 You can read the full article first published in The Irish Times on September 13th 2016 here. 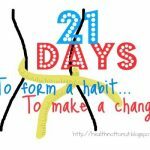 Can you get fit in 8 weeks? 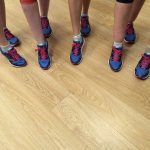 In this article Mary gives us some tips on how to prioritise our fitness for a few weeks. 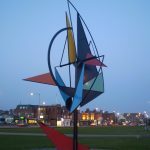 As well as some information on The Irish Times Phizer Healthy Town Initiative, 2016’s healthy town is Navan. This article was first published on September 6th, you can read the full article online here. 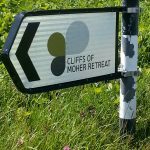 Do you see a hill and run the other way? 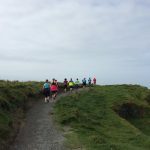 In this article first published in The Irish Times in August 2016 Mary tells us to embrace hills and gives some great tips on how to conquer the hill with alot less effort. You can read the full article online here. 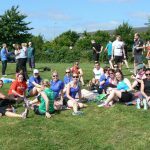 This practical workshop will teach you how to make the best use of your Foam Roller to keep you running for longer with less injuries. 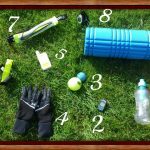 What’s a Foam Roller? A foam roller is a tool which allows you essentially to give yourself a deep tissue massage by loosening out adhesions and tightness in the body. 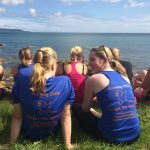 Pregnancy and Marathon Training are not all that different. 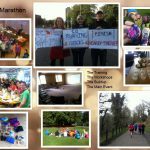 Mary, having experienced the marathon training is now going through the pregnancy noticing all the similarities. This article first appeared in The Irish Times in July 2016. You can read the full article online here. 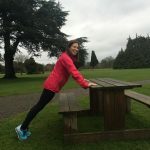 In this article Mary Jennings explains about our favourite exercise the Plank if you only have one minute per day use it wisely. This article first appeared in the Irish times on 7th June 2016, you can read the full article online here. If you wish to join the challenge, you are more than welcome. 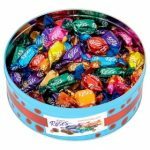 Mary writes in the Summer Ezine for the NCEF. You can read the full Ezine here. Article featured on Pages 26 &27. 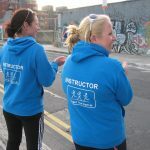 In this article Mary discusses the role of the coach in getting people out running, where the best place to start is and what tips and advice to give. 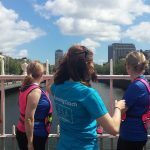 Mary Jennings might have all the motivation in the world to head out for a run but when it comes to swimming she puts it off until it is absolutely necessary. This might have something to do with the Atlantic rescue. Is her procrastination in this field similar to how you put off your running? Mary writes for the NCEF Ezine. You can see the full E-zine online here. 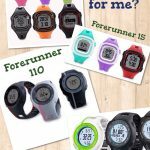 In this article first published in the National Fitness News E-zine in May 2016 Mary talks about her love of the outdoors. She explains how she passes this on to all her clients. 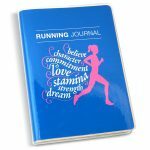 Keeping a training log is a fantastic way to monitor progress and challenges along the way. 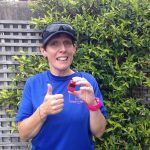 I still have my training logs from when I started jogging (very slowly) and it is great to look back over them and remember the challenge/effort and sense of achievement I felt as I first ran 5 minutes non-stop. 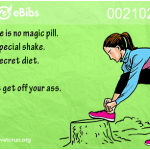 Never believe what your body tells you in the first 5 minutes of your run. 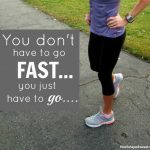 If you do, you will convince yourself that you are not made for running. 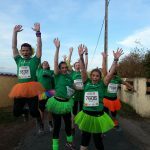 The negative voices in our head complain, our breathing can feel laboured, our leg muscles can feel tight and joints might ache as we start running. 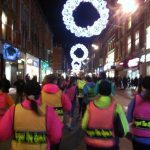 Mary gives us some great tips on what to do in the lead up to a race. All her tried and tested strategies to avoid any hiccups before the big day. This article first appeared in The Irish Times in May 2016. You can read the full article online here. 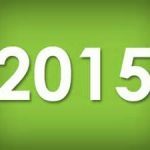 It’s the time of the year where many of us are feeling guilty that those new years resolutions have been ignored. But it’s not too late. Here is how to get back on track…. This article first appeared in The Irish Times in Feb 2016. Link to the article on The Irish Times website. 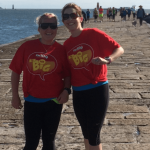 Fitness and Friends – A running buddy keeps you motivated as the miles fly by. You share worries, hopes dreams and maybe even things you wouldn’t tell your best friend. This article first appeared in The Irish Times in Feb 2016. 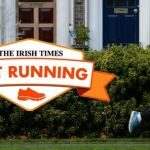 Link to the article text on The Irish Times website. Mary understands that not everyone can run, and indeed not everyone wants to run. She gives some tips on how to get moving and out the door for a walk. 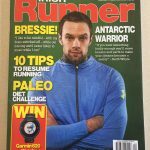 This article first appeared in The Irish Times in September 2015. You can read the full article online here. 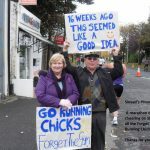 As running buddies we support each other. We run and chat through our problems and worries. We encourage our buddies through the miles when we don’t have the energy or the confidence. 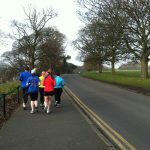 Most importantly we get each other out the door on the days where we would create an excuse if we were running alone. 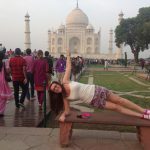 Emma Long – 365 Days of 1 minute Planks! 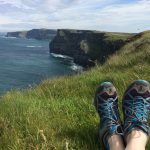 Úna Ní Chribín – 365 Day’s of 1 minute Planks! 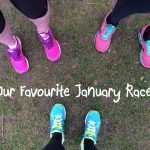 Hayley Morris – 365 Day’s of 1 minute Planks! Tina Johnson – 365 Day’s of 1 minute Planks! 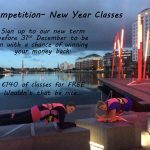 Gráinne Mac Giolla Rí – 365 days of 1 minute Planks! 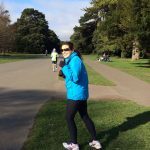 Here Mary tells us how the first 5 minutes of your run are always the hardest and gives us some tips to get moving and active again. This article first appeared in The Irish Times in September 2015. You can read the full article online here. 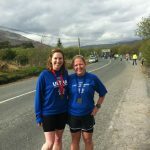 In June / July issue of The Irish Runner Mary is interviewed about her first ever Marathon. 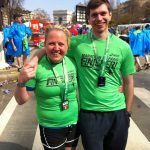 Mary talks about the setbacks she experienced before race day and how her perspective on everything changed once she crossed that finish line. 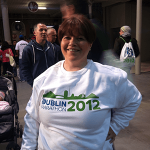 You can read Mary’s thoughts on the run that changed everything here. 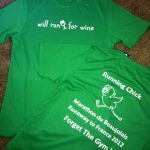 If you have lost your running enthusiasm Mary tells us here that sometimes a new route can be the shake up you need for a new challenge. This article first appeared in The Irish Times in May 2015 . You can read the full article online here. 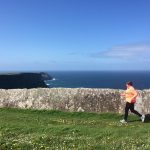 In the Februrary March issure of the Irish Runner our Running Chick Hayley talks about her experience with running and how changing her technique by coming to our classes has helped give her a new life with asthma. Well done Hayley, we are so proud of you. 40 Days and 40 nights…. 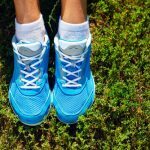 Mary Jennings gives some great ideas as to how to keep your running going once you have reached the Milestone of 30 minutes. This article first published in the Irish Times in Febuary 2015. You can read the full version online here. Join us as we kickstart our 2015 schedule with some FREE Pop-Up classes this week. 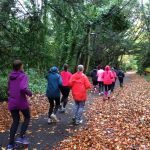 These classes are suitable for anyone who has let their running slip over the winter and need a bit of a kick to get moving again. So far we have a midweek and a weekend pop up class. Come along. 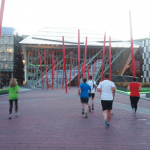 In the October / November edition of The Irish Runner Mary gives some tips on planning for the Marathon. 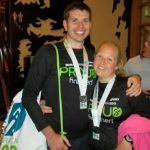 Mary talks about how getting your head in the right place can help you get to the start line in perfect condition. 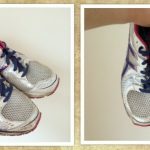 Mary provides some tips how to stay injury free while continuing to run. 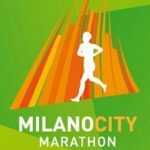 At the end of this programme you will have run 100km. It’s time to look after your body. This article first appeared in The Irish Times in October 2014. You can read the full article online here. 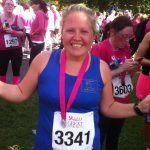 In this article Mary talks about running Mantra’s and tricks to help you get through even the toughest of runs. 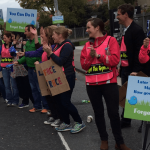 This article first appeared in The Irish Times in October 2014. You can read the full article online here. 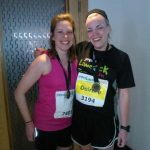 In this article first published in The Irish times in October 2014 Mary gives you 10 tips to help with race day for your first Marathon. You can read the full article online here. 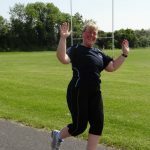 Mary entices those in Week 4 of the ‘Stay on Track’ programme with some speed training mid week and the challenge of a 5k. This article first appeared in The Irish Times in October 2014. You can read the full article online here. Wow, what a success. 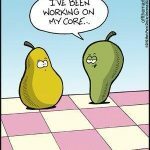 Over 3500 minutes of planks…. 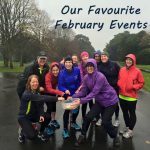 Mary talks us through the benefits of scheduling runs and being accountable to a training diary to improve your running routing. This article first appeared in The Irish Times in September 2014. You can read the full article online here. 30 minutes free this September? 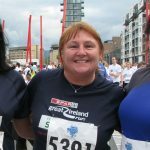 During the get running 10k programme Mary hosted many questions and answer sessions online. 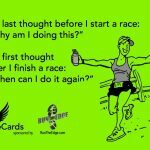 This article went through some of the top questions on breathing, pacing yourself, and motivation. This article first appeared in The Irish Times in April 2014. You can read the full article online here. 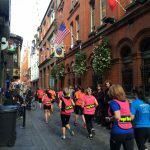 Mary’s Get running programme with The Irish Times was launched in January 2014. This article details why the programme was started and what it involves. 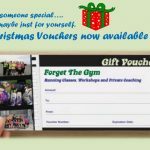 You can see the full Get Running programme here. 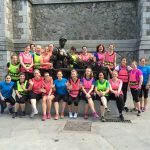 In the build up to the Womens Mini Marathon in 2012 Mary was interviewed by Fi0nola Meredith and contributed to this article about women needing to change their mindset towards fitness. This article first appeared in The Irish Times in May 2012. You can read the full article online here. Forget The Gym is listed as one of the great ways to be active outdoors this spring. This article first appeared in The Irish Times in March 2012. You can read the full article online here. 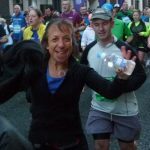 One of our Running Chicks Norma is interviewed here about her experiences with Forget The Gym and a few words from Mary also on how Forget The Gym all started. This article was first published in the Irish Independent in January 2011. You can read the full article online here. re. 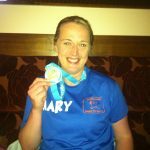 In the build up to the Dublin Marathon in 2007 Mary was interviewed by The Irish Times about women in running and how people get started with running. You can read the full article online here.